Let’s give a shout-out to Renee, a lady we met while at the Connecticut Old Statehouse on this spring trip. She was a worker there and asked if we were from out-of-town. We hit it big when she asked us if we wanted restaurant recommendations. One of the first she gave us was Agave. I told her if the place was good, I would mention her here. Well Renee, thank you so much for the heads-up. This place was good. Bearing a sign out front that read “Featured on the Food Network” it was no doubt intriguing. Walking in, I felt like I was back in Dallas. The place was beautiful. We sat in the bar area where we were given a basket of chips and what seemed like homemade salsa. Drink prices for cocktails were par for the course for a city like Hartford: margaritas ranged from $8.50 to well over $10, but the sizes were decent and available frozen or on the rocks. I felt like a pint of Dos Equis, adequately priced at $5. Meal prices also were not bad. The twin tacos I would order were $11.50, and the portion was more than filling. I had a choice of whichever tacos I wanted from their menus, and decided on fish tacos with pineapple salsa and a light cilantro cream sauce. The second was grilled vegetables. Both were very good. Just like earlier in the day at Sunberry Cafe, the ingredients were fresh from what we could tell. 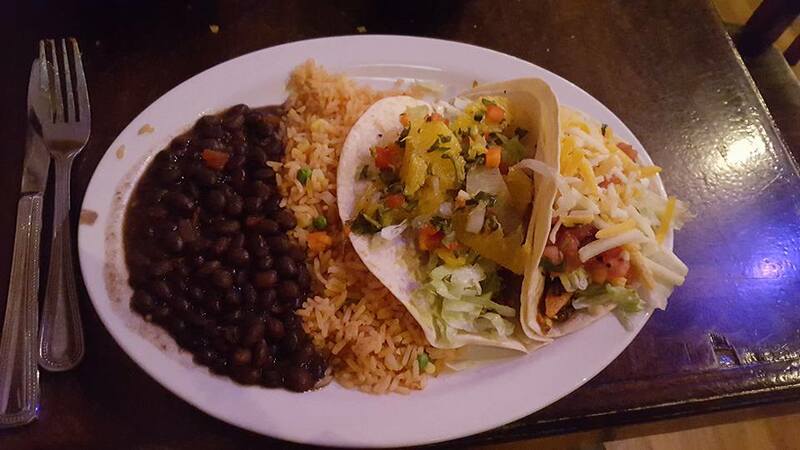 The tacos came served with rice and refried beans. My friend ordered the portobello-spinach quesadillas, which he said were tasty as well. Prior to that, our appetizer was the queso fundito with chorizo. 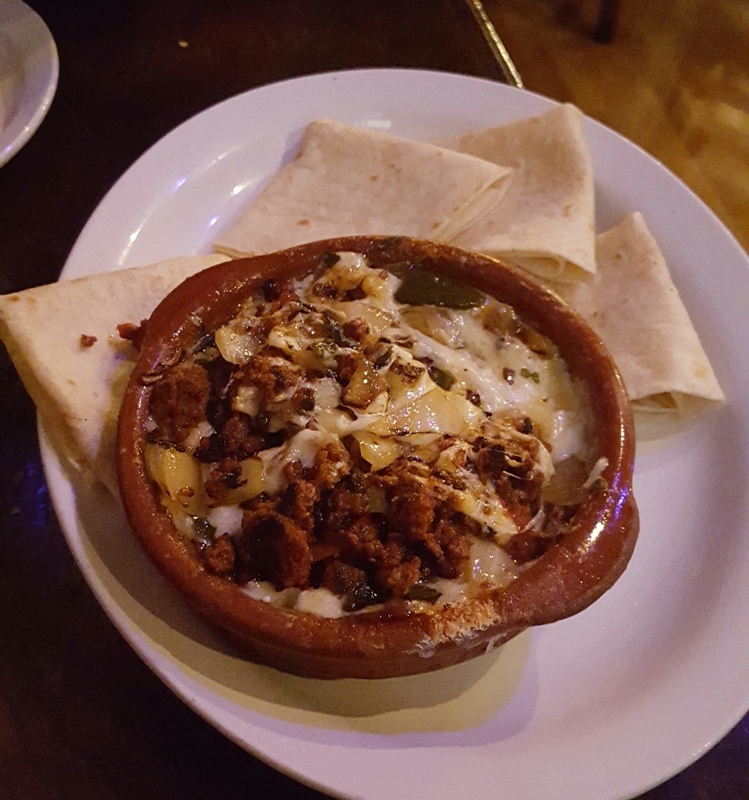 It came in a skillet; a bubbling fondue-like mixture of stringy queso cheese, grilled onions, poblano peppers, and the chorizo. Warm soft tortillas were also brought with the appetizer, as well as the chips which were already given to us. I’m going to give Agave a 4 out of 5, with a little room to grow on me. Service was ultra friendly–they did not rush us out or push drinks. There was a decent crowd for a Tuesday night, leading me to believe this place would be packed on weekends. Was it Food Network worthy? Perhaps not, but still a great meal overall. This review was previously posted here. Agave Grill is located at 100 Allyn Street in Hartford, Connecticut.